This week’s Baked Sunday Mornings challenge is for Cornmeal Griddle Cakes but we’re hitting the road this morning so don’t have time to make breakfast. Instead, I decided to make up the Buttermilk Pie (with a hint of Maple Syrup) that I’d missed when the BSM Bakers made it in November. 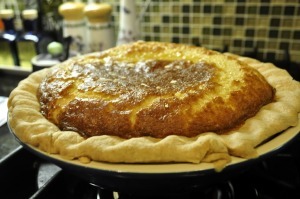 Although I lived in Texas for 5 years, I’d never had Buttermilk Pie before. But John remembers his aunt and one of his cousins making it. 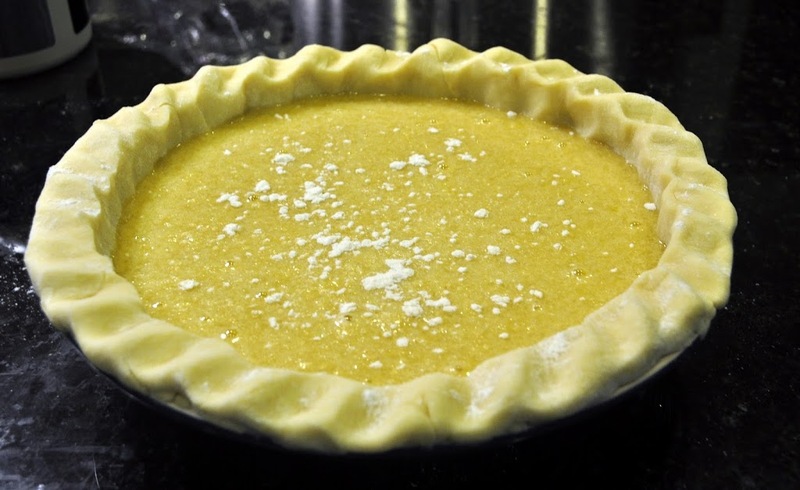 He said they would bake the crust and custard filling separately then transfer the cooled custard into the baked pie shell. Although they didn’t add maple syrup to the mix, John really liked this version. Straight from the oven – puffed up like a souffle! The filling whips together so quickly – the time consuming part is making and chilling the crust and baking the pie. I found that I needed an extra 12 minutes in the oven to allow the custard to set completely. 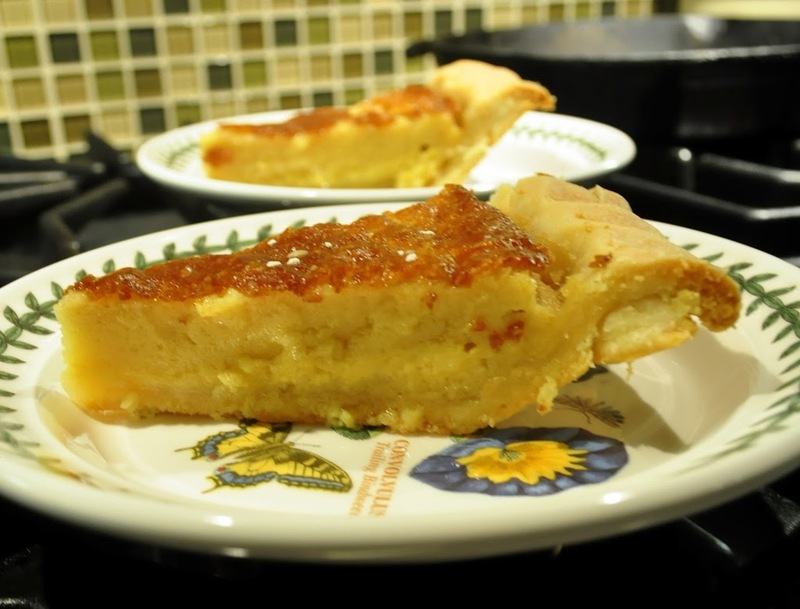 I couldn’t understand the purpose of sprinkling 1/2 teaspoon of flour on top of the uncooked custard but it created a crisp, sugary topping not unlike creme brulee. This pie is really good but I kept wishing I had some strawberries with it. It’s very subtle and sweet in a homey comfort food way. It would be good served with fruit any time of the year. It was interesting to see how many places in Austria claimed to have invented the Sacher-Torte. This one is in Salzburg. Buttermilk and maple sound like such a great combination! I love pies like this Susan, love how it puffs up at first. You always have something yummy at your house, don’t you? We didn’t care for this pie…being huge PIE fans. I think it was too subtle for us…and you are so right it needed strawberries or something to add zing. Susan, I am always so jealous of your pies — your crusts are consistently gorgeous and they come out perfect every time! When I made this pie it was a fiasco, but yours looks amazing! Beautiful pie, Susan. It turned out great! It browned up so nicely. The picture of the pie straight from the oven looks amazing. This seems like the kind of pie I would order my the slice rather than make. Love this pie! And I’m salivating over your picture of it all puffed up. 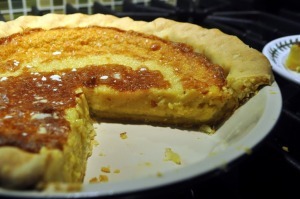 I love buttermilk pies, and I think this would be lovely with strawberries! Thank you so much for sharing! I never have tasted a buttermilk pie either. It sorta looks darn delicious, strawberries or not. 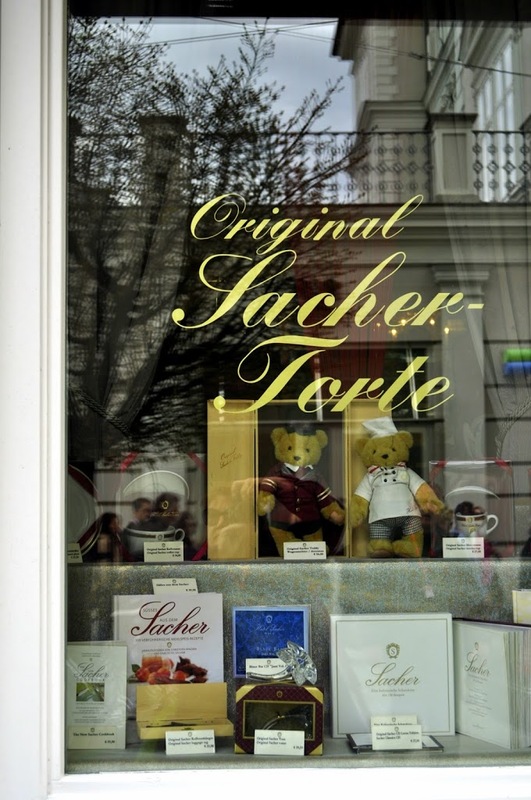 I laughed about your Sacher-Torte remark. Kinda like George Washington Slept Here.